The Telecoms.com Intelligence Annual Industry Survey highlights an increasing acceptance that the telecoms industry is constantly, and rapidly, evolving. It highlights the significance of emerging technologies, service trends such as the Internet of Things (IoT), artificial intelligence, and 5G networks. The study also talks about the growing move within the industry toward automation and autonomous systems, which are likely to change the way we work and communicate. Of those surveyed, 61% indicated that emerging technologies are going to be crucial to the long-term success of the telecoms industry. Fifty five percent of respondents said the IoT would be a priority investment area for their company in 2018, and half highlighted cloud infrastructure and services as a crucial area of development. Most network operators surveyed believe that Ultra Broadband (UBB) is going to be vital to their future success, bringing with it the opportunity for improved network performance and reliability (selected by 53% of respondents) and delivering new advanced services such as 5G, 4K video and smart home technology (highlighted by 50% of respondents). The high cost of deployment, however, was cited as the biggest barrier to progress, with a relatively modest 55% of respondents expecting an increase in UBB spending in the coming year. Encouragingly though, nearly two-thirds of operator respondents indicated they expect to achieve full UBB deployment by the end of 2020, with 22% anticipating they will reach that goal by the close of 2018. Video services now account for more than two-thirds of telecoms networks' traffic worldwide. The majority of network operators surveyed predict it will comprise of more than 80% of their traffic within the next five years, accounting for four out of every five bits travelling over their networks. Among the benefits of offering video service, 48.9% of operators cited opportunities for new revenue, and 36.2% highlighted reduced churn and increased customer satisfaction. Competition from over-the-top (OTT) content services, such as Amazon or Netflix, was cited as the greatest challenge for video services, bringing with it major potential ramifications for network operators. 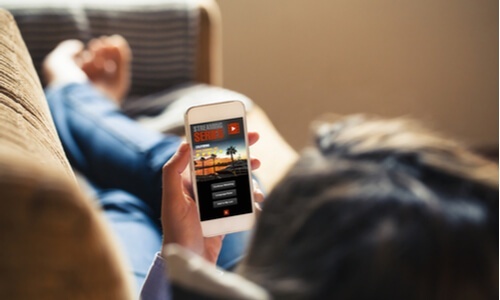 Operators also see a robust Video on Demand (VoD) library with high-value content being one of the most important attributes of a successful video service. There is also a recognition of the increasing demand among younger consumers for video access beyond the television screen, with the offering of video across a range of devices. Many operators stressed the obstacle of bandwidth requirements for high-quality video services (an issue for 40.7%), and access to content at viable prices (cited by 39%). However just one in five respondents said their company plans to increase spending in video services by 10% or more in 2018, with the remaining respondents not planning any considerable investment in video. The survey stresses a heightened understanding among operators of the importance of delivering safe and secure services for customers, and there’s strong evidence of a willingness to invest to meet this mandate. Almost 70% of service provider respondents cited security as a vital element of their five-year strategies, and just under 80% anticipate their company will increase spending on security in 2018. However nearly half of all service provider respondents indicated they were only somewhat confident, or not confident at all, in their company’s ability to successfully manage the security requirements of IoT. Internet-based threats, such as malware attacks and ransomware, showed the greatest growth rates with 20% reporting attacks had grown by more than 30% in the last year. More than half of the survey respondents indicated they have worked in the telecoms industry for 15 years or more, with nearly a third having more than 20 years' experience in the sector. Generally, their overall sense of positivity for the future is an encouraging sign.